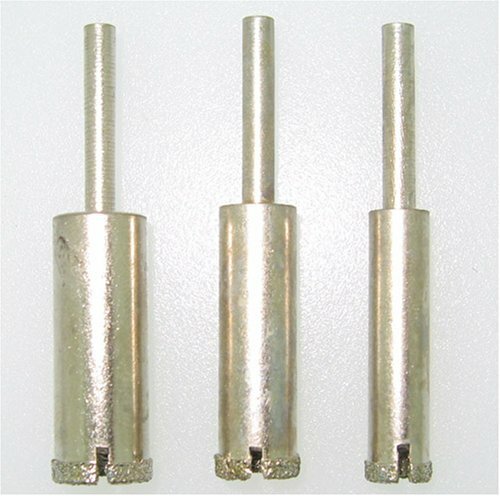 Power Tools / 3pc DIAMOND HOLE SAW - CORE DRILL - Set - 1/4" + 5/16" + 3/8"
Power Tools › Drills › Core Drills › 3pc DIAMOND HOLE SAW - CORE DRILL - Set - 1/4" + 5/16" + 3/8"
Superior performance - Great for holes in marble, Slate, Glass, Tile etc. 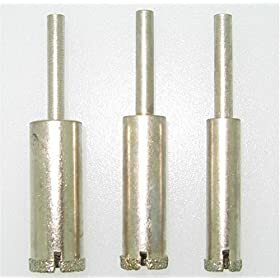 I purchased these to cut holes in ceramic pot that my wife wanted to use for flower pots, but needed drain holes in the pots to allow excess water to drain. 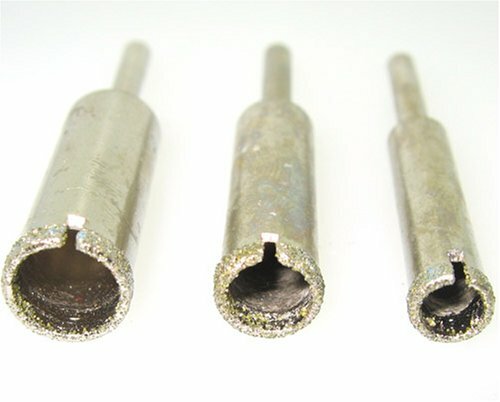 I found these did the job very well. The price was right, and the results looked good.